Old maps may refer to this as “Bushman’s River Pass”, as it was known in the 19th century. 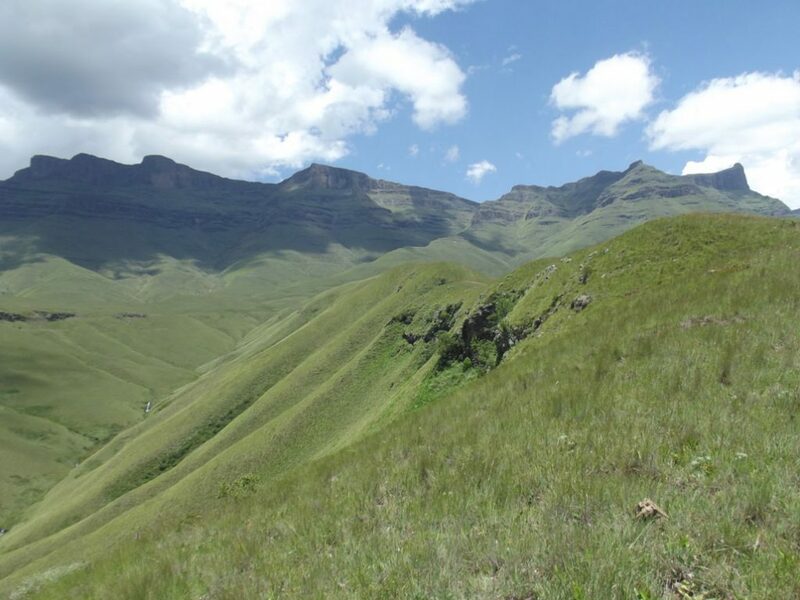 The exact date of the name-change to “Langalibalele Pass” is uncertain, but makes reference to the arrest of the amaHlubi Chief Langalibalele at the top of this pass in 1873. 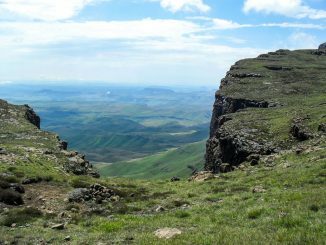 Seven people died during this capture, five from the English and two from the amaHlubi, and were buried at the top of the pass. This gravesite can still be visited and is just south of the top of the pass, slightly up the ridge. they are fit and sufficiently knowledgeable. Giants Castle is fairly easy to access if you have a car. However, there is no public transport that will get you to the offices. From Johannesburg: Take the N3 South (signposted for Durban) Follow the highway till Estcourt, where you will see signs marked “Giants Castle” Follow the signs to Giants Castle and at the end of the road, you will find the Giant’s Castle offices. 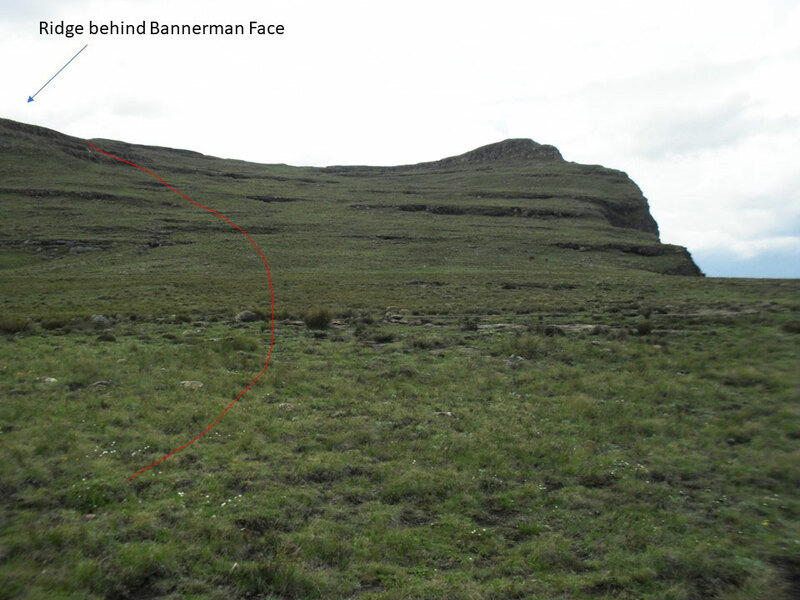 The pass is accessed via the Langalibalele Ridge route from the Giants Castle main offices (not to be confused with the picnic site where one would access Bannerman Ridge). Every turnoff prior to the start of Langalibalele Ridge is sign posted. The ridge itself is the steepest part of the route, and is a good test for how ready you are for the route. 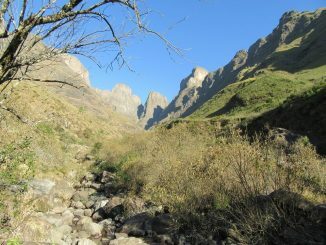 After crossing the contour path, the route climbs a bit further before a gentle downhill traverse to cross the Bushman’s River and the start of the pass proper. 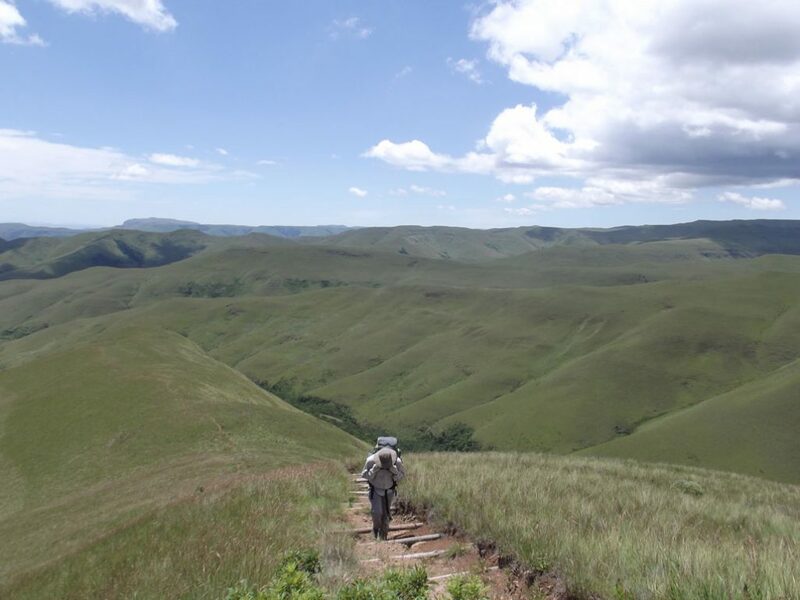 Langalibalele Ridge: The hardest part of the route. 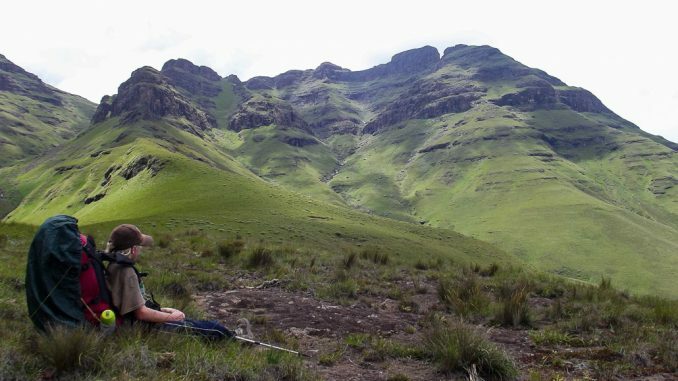 and is fairly gentle by the summit – by Drakensberg pass standards, that is. The steepest section of the pass. The easier top half of the pass. The pass is fairly easy to find from the escarpment, provided you end up in the right valley! 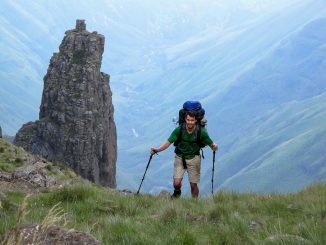 It is marked by a large cairn on the watershed and tops out at the lowest point on the watershed in the saddle between Bannerman Face and Erskine Peak, just south of the Thumb. 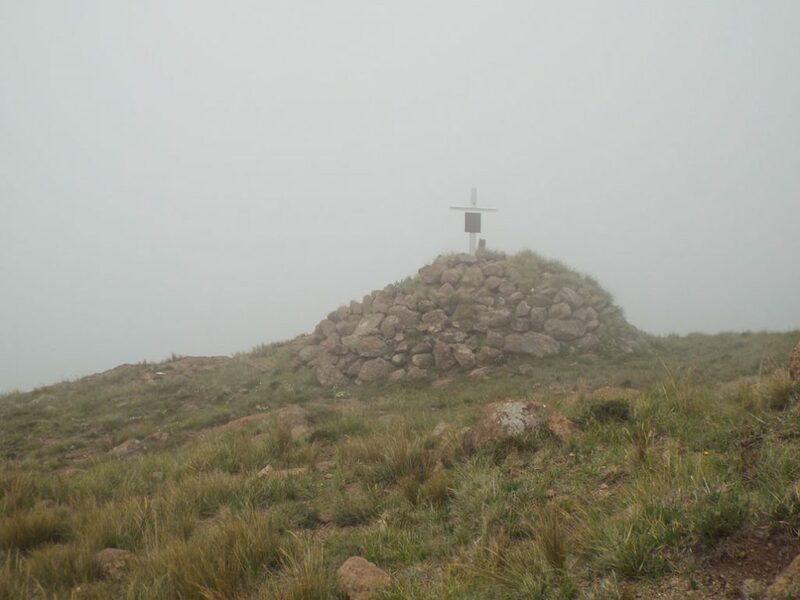 The Carbineers’ Grave (which is a large pile of rocks with a large metal cross and is visible from a distance) is near the summit of the pass – if in doubt, the graves confirm that you are in the right place. 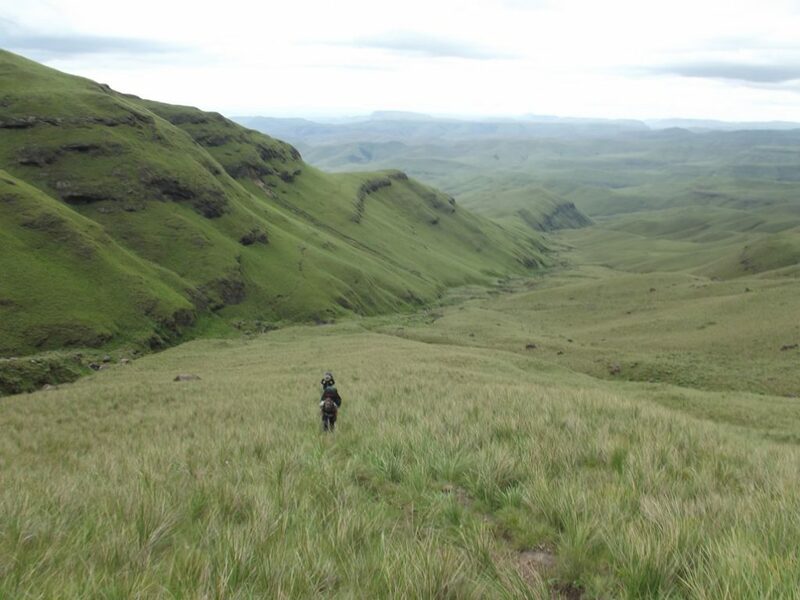 A common route is to traverse from Bannerman Pass to Langalibalele Pass. This route is often attempted by beginners. This is NOT recommended for those who are unfamiliar with the area as crossing the ridge directly south of Bannerman Pass will land you further inland than one might expect, thus making it very easy to get lost. 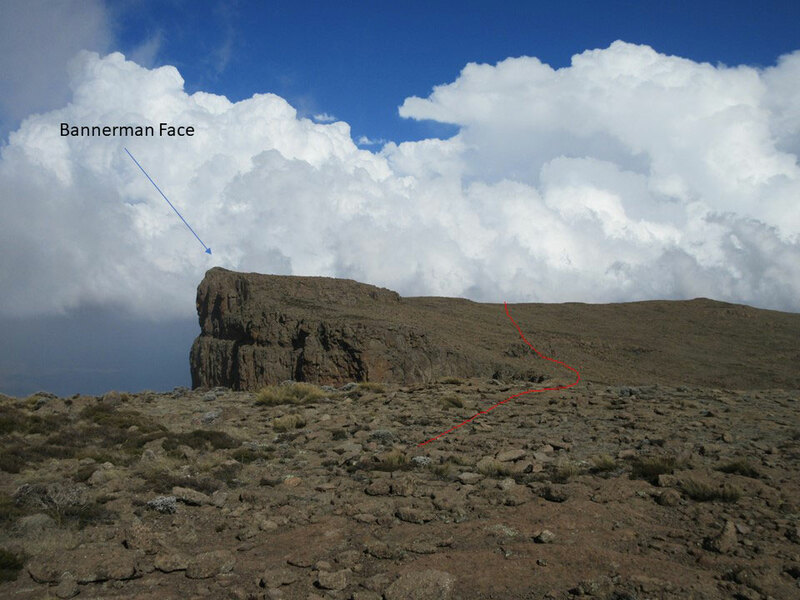 It isn’t really feasible to explain this route in words, and therefore photos have been included. 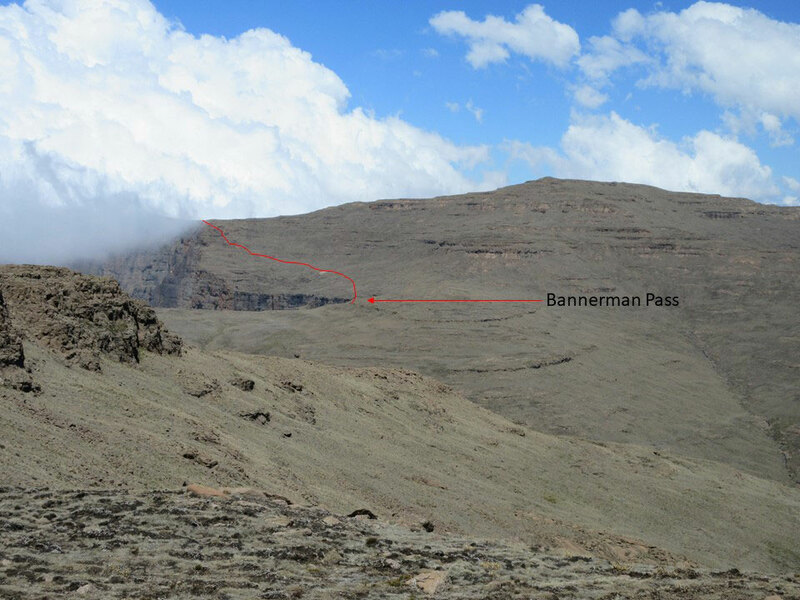 From the top of Bannerman Pass, start by going sharply left to go over the Bannerman/Sanqebethu Ridge. From the top of the ridge, go further left, and cross the ridge behind Bannerman Face. 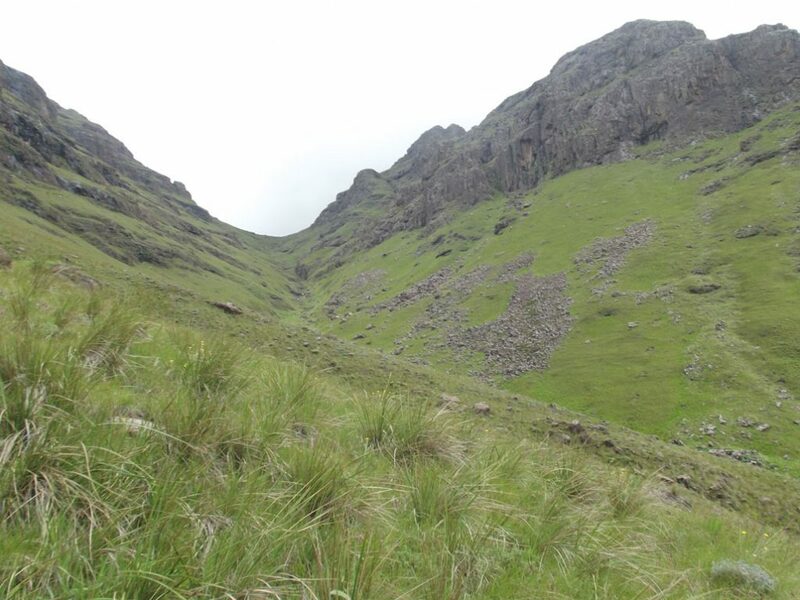 The route down from Bannerman Face towards Langalibalele Pass. It is possible to camp at the bottom of the pass near the contour path, or immediately above the pass, provided you have a suitable 4-season tent. Winds in this region often exceed gale force, and have been known to destroy tents on many occasions. There have also been security concerns above the pass in the past, but no reports in recent years – so caution is advised, e.g. don’t leave your boots outside your tent. Bannerman Cave is fairly close to the top of the pass, but is far from water and difficult to find if you don’t know where to look. The route has adequate water in summer, and unless it has been a particularly dry winter, it is usually available in winter as well – although the river does freeze some years. Gear depends on the time of year and the year. In winter the rivers are often frozen, and cold gear is essential. 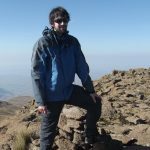 If you do this route as a day hike, you can do it with very little gear – but only attempt this if you are very fit and competent, especially with how to survive with limited gear if something goes wrong.